Postmastery is unique in its focus on email delivery infrastructure consulting and its vendor independence. Our role can be compared to a system integrator. We help with infrastructure design and software selection using your needs as a starting point. We set up and configure the system until it's ready to deliver emails according to all known best practices. Whether you are a brand, a marketing agency, or an email service provider, we can help you find the right email solution. We have worked with all top tier MTA (mail transfer agent) vendors and various email marketing software vendors. Our set up services range from system design to tuning for mailbox provider policies. Our services will help you avoid the pitfalls and get started with a system that has all the technical prerequisites for optimal deliverability. We also deliver on-premises systems turn-key, leaving you with nothing more to do than create your campaign. After the set up, our delivery monitoring and operational management services will help you maintain deliverability at the right level. 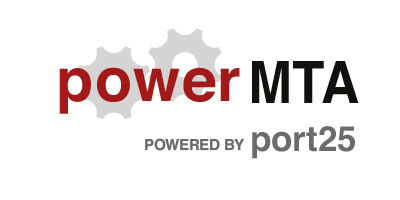 Port25's PowerMTA is proven software for high-volume email delivery and is used by many ESPs. It is designed for optimal performance, manageability and deliverability. Postmastery is a Port25 authorised global channel partner and a hands-on expert in PowerMTA. 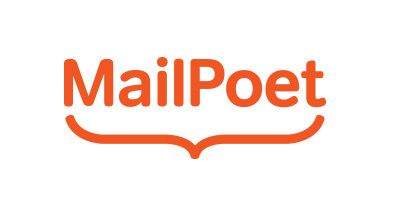 Thousands of people use MailPoet every day to send newsletters without leaving WordPress. It is acclaimed by marketing experts from all sectors for its simple operating concept and great features. 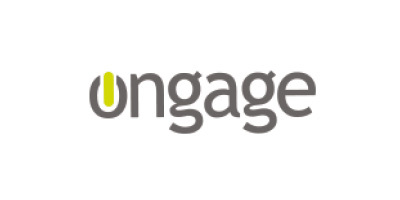 Ongage offers an online email marketing front -end that is able to route emails to many different back -ends. You can mix and match different delivery service providers with your own on-premises email server. Mailwizz is a licence-based full-featured email marketing and auto responder software. You can either run your own email campaigns or provide email marketing services to your customers. 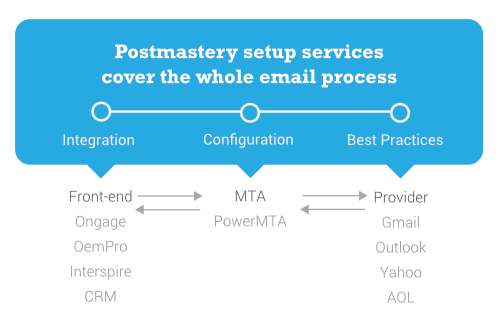 Postmastery developed various integration components for PowerMTA, Ongage and Mailwizz. Our latest component, our Sendgrid >< Postmastery's delivery analytics integration enables a smooth, real time injection of SMTP data into our monitoring dashboards. Do you need help to set up or integrate your email infrastructure?